WASHINGTON – On May 22, 2018, Worland Livestock Auction LLC., Worland, Wyo., waived its right to a hearing, entered into a stipulation agreement with the U.S. Department of Agriculture and paid a penalty of $3,000 for alleged violations of the Packers and Stockyards Act. The USDA Agricultural Marketing Service’s investigation revealed that Worland, a livestock market agency, selling on commission, violated the P&S Act and regulations by operating with custodial account shortages of $31,840 at May 31, 2017, $32,749 at June 30, 2017 and $33,906 at July 10, 2017. Worland took corrective action by depositing funds into its custodial account from a line of credit in July 2017. The investigation also found Worland’s records to be inadequate. The P&S Act authorizes the secretary of agriculture to assess civil penalties of not more than $28,061 per count against any person who violates the law, after notice and opportunity for hearing on the record. USDA enforcement rules provide a mechanism to quickly resolve violations of the P&S Act. 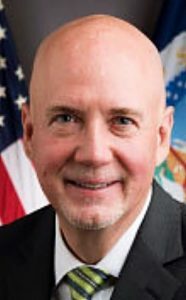 USDA may offer alleged violators the option of waiving their right to a hearing and entering into a stipulation agreement to quickly resolve alleged violations.